Home » Common Health Questions » Does coconut oil expire? Can you freeze coconut oil? How do you store coconut oil? Does coconut oil expire? 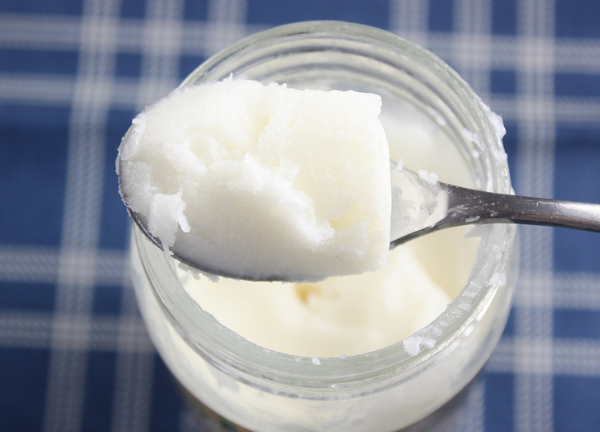 Can you freeze coconut oil? How do you store coconut oil? Last reviewed by Editorial Team on August 27th, 2018. Extracted from kernel or flesh of fully grown coconuts, Coconut Oil is edible oil and a healthy fat that is made up of 50% essential fatty acid (lauric acid) that is beneficial in enhancing immunity. Coconut oil contains high saturated fat content, therefore, it is slow to oxidize and less prone to rancidification. Though there are countless benefits of Coconut Oil but the medicinal tool, moisturizer, cosmetic base, cooking oil are some common uses that everybody enjoys. Coconut oil has a huge number of health benefits that it is used as a medicine at many places. 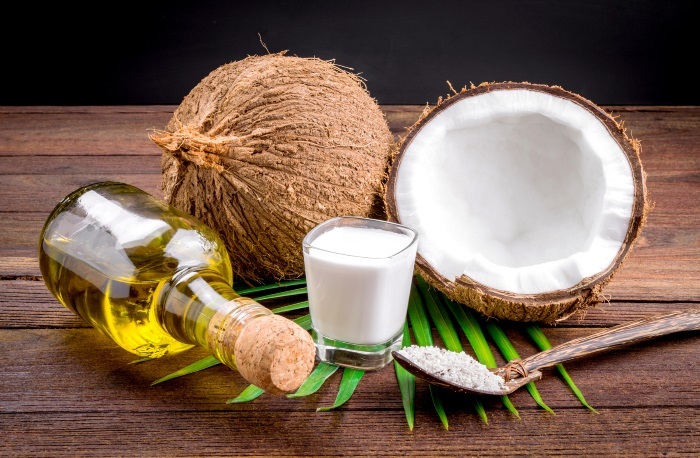 Some studies show that the people who use to have high coconut oil rich diet, do not suffer from many of modern diseases and stay generally good in health. Coconut oil is commonly used as a moisturizer and a cosmetic base due to its extremely safe and stable properties. Coconut oil used as a medicinal aid in many conditions such as itching, burning, rashes, lesions, injuries very frequently. Its antimicrobial properties make it safest for medicinal use. Coconut oil is frequently used as cooking oil and considered as safe and healthier for use as compared to other cooking oils. Coconut oil contains healthier fatty acids that help in strengthen the weaker immune system. Can I freeze Coconut Oil? Coconut Oil is highly shelf stable oil that you do not need to store it in the fridge. Due to its longer shelf life than any other oil, Coconut oil does not require any special treatment for storage and it remains fresh for up to 2 years. It has a high melting point that is 76 degrees due to which it frequently changes its state, with temperature fluctuation throughout the year. Normally Coconut Oil needs not to store in the fridge, but in the summer season when the temperature is extremely high, it may need to get stored in the fridge, for making it better for future use. For personal use, one can store the coconut oil in the fridge in the form of frozen cubes..
Procedure: you can store coconut oil in the fridge by melting the coconut oil and then pour them into the heat resistant or silicon molds. Measure the quantity of coconut oil at the time of pouring oil, as it will help you to identify the right quantity of coconut oil per frozen cube. Place them in the freezer for few hours, then after passing few hours, take them out of the freezer and then from molds and place them in a freezer-safe bag. 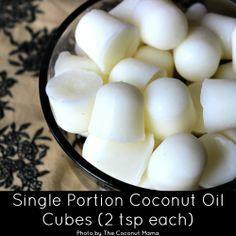 You can mention the quantity of coconut oil in each frozen cube. Moisturising Bath: Used as a moisturiser in a hot bath. How long Coconut Oil can last? Where a refined coconut oil lasts up to 18 months, before getting spoiled, a virgin or a pure coconut oil has a shelf life of 3 years. Because the virgin oil is produced by a wet milling method, which makes virgin coconut oil filled with antioxidants that help to prevent rancidity of oil. The oil produced by this method lasts for several years without getting rancid. Coconut oil has effective antimicrobial properties and it doesn’t oxidize easily. Just like every other product in the market, Coconut Oil also has a “best before” date that indicates the stability of coconut oil before a specific expiry date. Coconut oil itself has amazing properties that make it last longer than other oils, so you can check your coconut oil, for this “until you find your coconut oil is bad (with a bad smell or any mold/bacteria growth), it is fine and safe for use”. It has a melting point of 24 degree Celsius (75 F) which makes it super stable due to changing its state (solid or liquid) as per temperature fluctuations in its surroundings. It has antibacterial and anti-fungal properties that prevent it from getting rancid. It reduces contamination from microbes due to its natural antimicrobial activity. It has a highly stable chemical structure that makes it most stable under any kind of temperature conditions. It contains higher lauric acid (saturated fat) content that enhances its stability even more. Due to higher saturated fatty acid content and stable chemical structure, coconut oil resists any kind of spoilage or rancidity. Coconut Oil lasts more than any other cooking oil due to its resistance to oxidisation process and rancidity. Although coconut oil contains great antibacterial properties, but still it can get rancid if stored under inappropriate temperature conditions. In order to prevent any kind of food-born illness, one should maintain proper hygiene conditions and practice appropriate food safety techniques. Smell the oil container to check the spoilage of coconut oil if you sense any foul smell or bad odour than your coconut oil become rancid and its time to throw it out. Coconut oil mainly comes as White soft solid and it turns slightly yellow if spoiled, so check out if it discoloured or not. Food safety measures are most recommended techniques to prevent any kind of oil to prevent them from rancidity. Coconut oil should be stored in the pantry. Here it can store in liquid (above 75F) form as well as in the solid form (below 75F) without any risk of getting rancid. Avoid storing your coconut oil in the fridge, as it gets very hard in the fridge and making it difficult to use. If you are using the coconut oil in a bakery food product, It can go bad. All food products expire soon along with quickest expiring ingredient in the dish and so do the coconut oil. Coconut oil proved beneficial even under storing conditions. Some uses of food storage are healthier eating; lesser food costs and avoid wastage thereby saving the environment. How to identify rancid Coconut Oil? If it is yellow in color in the liquid state. If it tastes bitter and smells very bad. If you find any kind of impurities at the bottom of the container, It can be some growth of bacteria. There are two types of coconut oil, Virgin oil, and refined oil. One can identify the virgin coconut oil by checking the final product. Virgin coconut oil is not processed and you can identify it from copra derived cooking oil by checking its colour. The Copra derived coconut oil is yellow in colour which is created by molds. These molds can be destroyed during the refining process and these molds are not harmful for human consumption. Coconut oils also available in the market under multiple brands with different qualities. Always use a good quality coconut oil and it should be sealed and closed properly after every usage in order to prevent entry of any kind of moisture. Because moisture can enhance the growth of mold inside the container and oil can get rancid. Avoid doing the double dip in the same container and avoid using dirty cutlery while taking the coconut oil out from the container because these are some prime causes of spreading the bacteria. Fresh coconut oil is white solid and becomes transparent when melted. It becomes naturally cloudy or semi-solid in between states. What can I do with expired / rancid Coconut Oil? You can use it to oil a lamp by mixing with some other flammable oil. You can make some candles out of it, by mixing with some beeswax or essential oils. If you spot any kind of mold or growth on the surface of the coconut oil, you can scoop off the mold and contaminated area with the clean cutlery and now you can use rest of it. but if it developed a foul smell or bitter taste, discard it right away. Can Expired Oil cause side effects? Coconut oil is better known for its health benefits and nutritional data, but it need the lower temperature in cooking and it should be used in low heat or no heat dishes. Every oil has a particular smoke point, the temperature at which the nutritional content of the oil starts degrading rapidly. At this temperature, oil starts emitting smoke and become rancid which is more harmful than destroyed oil. Refined coconut oil has a smoke point of 450’F, whereas virgin coconut oil has a smoke point of 350’F. There are some free fatty acids released at the time of rancidity process that is responsible for producing unpleasant smell. Although, these fatty acid are not dangerous for your health but at the time of oxidative rancidity, oxygenated aldehydes are produced, which are responsible for oxidative stress in your body and are responsible for developing the risk of atherosclerotic and degenerative diseases. How can I store Coconut Oil? Coconut oil can be stored at different temperatures for desired consistency. For example, Coconut oil will turn liquid when the temperature rises above 75’F, and when room temperature is less than 75’F or 24’C, Coconut oil will changes its state from liquid to solid. Coconut oil can also achieve a Jelly like a state, when stored at a temperature little less than 24’C. Coconut Oil can be stored as frozen cubes, where it turns very solid and used for purposes of cooking and much more. Coconut Oil should be stored away from direct sunlight. Direct sunlight can spoil the coconut oil soon and make it rancid before its expiry date. Under tropical climate or summer season, the extremely hot temperature can make coconut oil go bad and not suitable for use, so in such conditions, one should store the coconut oil in fridge or cool areas. Coconut oil should not be stored in Bathroom, where temperature changes frequently. Ideally, it should be stored in the counter, and then shift it to the fridge, if needed. Coconut oil becomes rancid, if it produces a bad odor or it if shows the growth of bacteria on its surface. So, whenever in use, you should use very clean utensils or cutlery to scoop out the coconut oil from the container, because dirty cutlery can lead to spoilage of coconut oil. Commercially (in bulk quantities) coconut oil is sold in 5-pound bulk increments and these large containers quantities are also stored after making small portions. For this, One has to melt all the oil in a very large container where mixing of fiber and oil takes place. Then you can transfer the coconut oil into smaller parts and store them in small food safe containers. The most common sizes of stored coconut oil are considered as quartz and pints. “Will muscle relaxers Flexeril show up on a drug test?